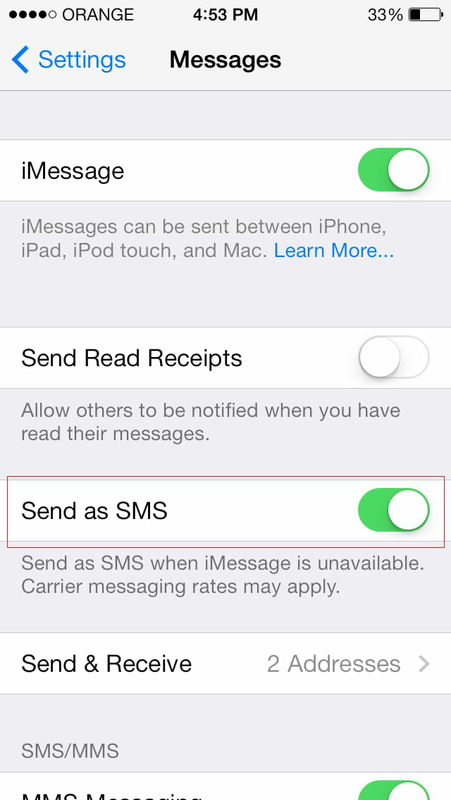 You can configure iOS to automatically make use of SMS each time iMessages in unavailable. Turn on "Send Read Receipts". Published by jak58. Latest update on March 9, 2014 at 03:37 AM by jak58. This document, titled "iPhone - Automatically send an SMS when iMessage is unavailable," is available under the Creative Commons license. Any copy, reuse, or modification of the content should be sufficiently credited to CCM (https://ccm.net/).